Email has pretty much replaced every form of communication – fax, letter, telegram – even phone calls. According to radicati.com, there are approximately 3.1 billion email accounts Wordlwide. With Smartphones becoming more and more popular, it is expected there will be 531 million wireless email users in 2011, with that number growing to 1.2 billion by year-end 2015. Even more staggering is their estimated number of emails SENT Worldwide on a daily basis – 294 BILLION. That works out to be 2.8 million emails every SECOND. One of my favorite Recruiting Tools is a Brag Book. Simply put, this is a simple binder full of personal pictures, awards, and thoughts about how your life has been enriched by being a Party Plan Consultant. Time Management is very near and dear to my heart, as the owner and creator of The Diva Success System which teaches Party Plan Consultants how to be successful and build their business in as little as 30 minutes per day. So when I needed an app that would help me to not only organize MY time, but that of a busy family as well, I knew Google would have the answer I needed! It is no secret that I am a huge lover of all things Apple. My iPhone4 and iPad are loved like members of the family. So when I find an App that I love, I have to share with everyone! One of my favorite tools for success is a Vision Board. A Vision Board is simply a visual representation of your wants and dreams – all mashed together in one place. There is no “right” or “wrong” to a Vision Board. The idea behind this is that when you surround yourself with images of who you want to become, what you want to have, where you want to live, what you want to drive, how you want to impact the world, or where you want to vacation, and by doing so, your life changes to match those images and those desires. 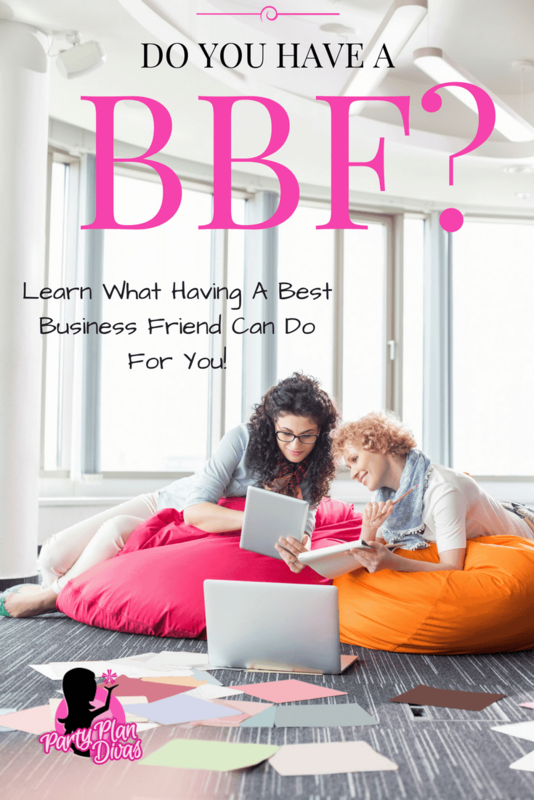 Do You Have A BBF? I am still buzzing from all of the excitement and ideas I received at the Orlando Spark & Hustle, and I am about to just burst with excitement over all of the ideas and tips I will be sharing with all of you starting in June for our 30 Days of Faves. But one of the things that has really stood out for me has been all of the new BBFs I have received and continued to talk to and get encouragement from every single day, and it got me thinking… do you have a BBF? After this weeks Small Talk Six I was reminded how so many of my favorite people are also my favorite authors!! 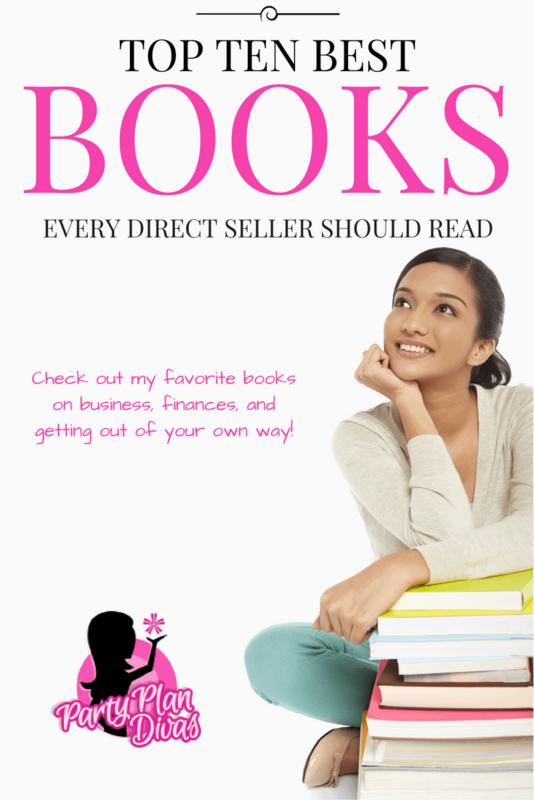 As much as I love a good murder mystery, I also love reading books on Success, Networking Marketing, and just Small Business Strategies in general. Because I know that time is precious and that there are literally THOUSANDS of books “out there” to read, I wanted to share my list of my Top Ten, and I would love if you would leave me comments with some of your favorite books that you have read that have helped you either in life, or in business.